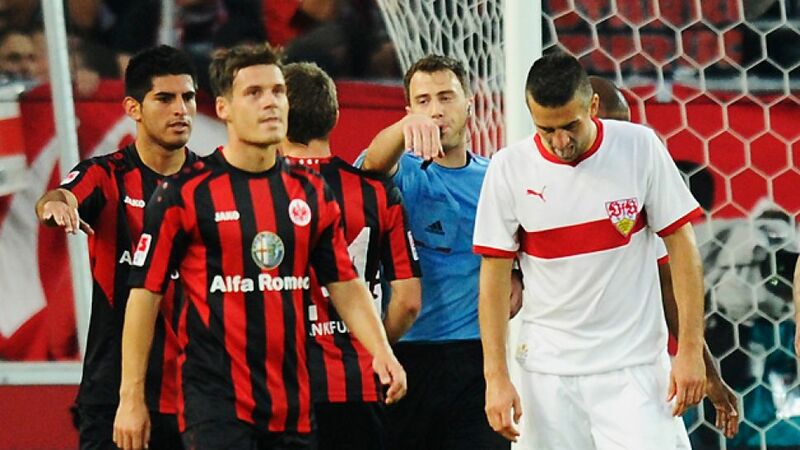 Ibisevic: 'It's frustrating I couldn't score"
Stuttgart - A dramatic and entertaining encounter between VfB Stuttgart and Eintracht Frankfurt ended 1-1 after Vedad Ibisevic missed a last-gasp penalty. bundesliga.com rounds up what those most involved made of the draw. Vedad Ibisevic: I'm disappointed for the team that we couldn't take all three points, but things like this happen. It's frustrating I couldn't score in the last minute to win it for us, particularly with all my experience. It hurts. Timo Werner: For me, as a local boy, the goal was the best thing that could have happened - especially on such a historic day. Christian Gentner: Frankfurt started better, but the game developed into a to-and-fro encounter, where a draw was ultimately a fair result. Having said that, it's obviously unfortunate to miss a penalty in the last minute. Stefan Aigner: It was a close game and the draw was fair. Both teams had great chances, but the score stayed 1-1, so it's a fair result.